Leibniz was pretty cheesed off, to say the least, when Halflife 3 launched with decorative wigs that could be bought and traded. 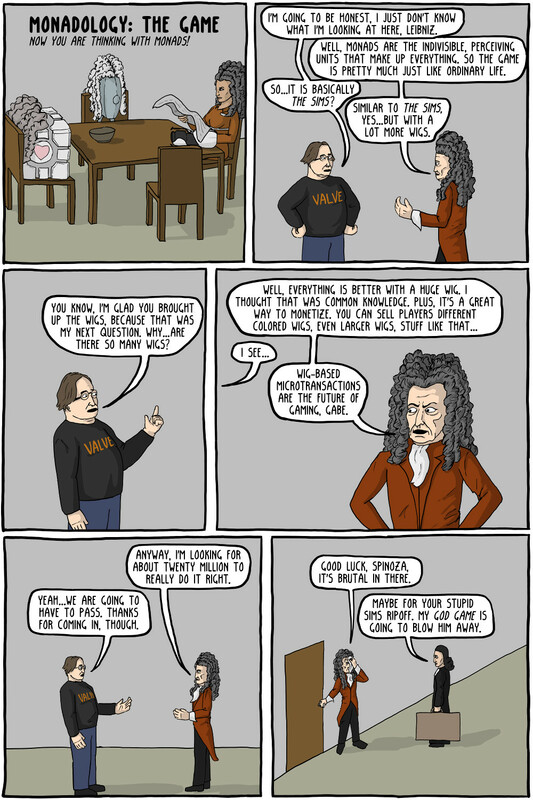 Leibniz was a 17th century mathematician, scientists, and philosopher. His major work of philosophy was his monadology, which was his metaphysical system in which everything consisted of "monads". They had some strange properties which made them different from a purely physical system, such as having some kind of perceptions, being able to contain other monads within them, and not having causal effects on each other. 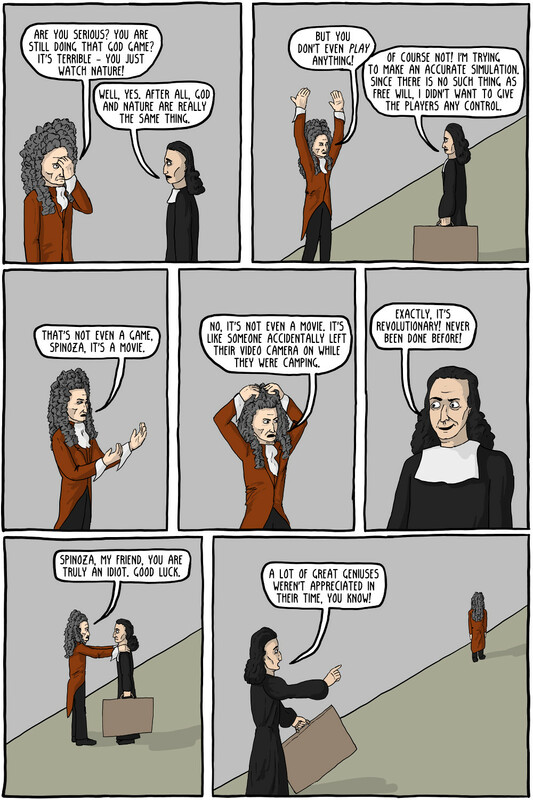 Spinoza was a philosopher of the same era (they apparently even met at one point). He was a naturalist, believing that God and nature were basically synonymous (leading to accusations of atheism, although most scholars would not call him an atheist today). He certainly didn't believe in a personal God, nor in a personal afterlife, however. He thought both mind and body were small parts of an infinite single unified entity (God or nature). He didn't think we had any free will, since we were just a smaller part of the world itself, which is determined.